Following this morning’s arrest of Farooque Ahmed for attempting to assist others in planning to conduct terrorist activities against the Metrorail system, we want to assure our riders and employees that at no time was the public in danger during this investigation. The FBI was aware of Mr. Ahmed’s activities from before the alleged attempt began and closely monitored him until his arrest. We thank our law enforcement partners with whom we work with closely and on an ongoing basis. And we especially want to commend the FBI, Department of Justice, the U.S. Attorney’s Office and the Department of Homeland Security for their support on this arrest. The Department of Justice’s news release is posted here. This arrest reinforces the need for continued vigilance by Metro and its customers. To prevent actions from occurring, the Metro Transit Police Department (MTPD) has an ongoing security program, which includes random, unpredictable patrols of Metrobuses, trains, stations and facilities. Earlier this year, the MTPD launched Blue TIDE as a new initiative aimed at deterring terrorist activity in the Metro system. Blue TIDE—Terrorism Identification and Deterrence Effort—includes a large number of MTPD officers who team with law enforcement officers from other agencies to conduct major, high-visibility, anti-terrorism show of force at stations. Metro also participates in Operation Rail Safe, a multi-force, multi-agency security surge throughout the Northeast Corridor. During Operation Rail Safe, officers are deployed for heightened station patrols, increased security presence on board trains, explosives detection canine sweeps and random inspections at unannounced locations. In addition, Metro established a new, 20-member, anti-terrorism team that was made possible by a $9.56 million Transit Security Grant from the U.S. Department of Homeland Security (DHS). On an ongoing basis, MTPD works with law enforcement agencies from the Transit Security Administration’s Visible Intermodal Prevention and Response Team (VIPRs), Federal Air Marshals, Amtrak Police and local law enforcement partners in the National Capital Region in concert with the Police Chief’s Committee of the Metropolitan Washington Area Council of Governments. As always, we encourage our rail and bus riders to remain aware of their surroundings at all times. We have signs posted in our stations and audio announcements that encourage riders that if they see something, they should say something. 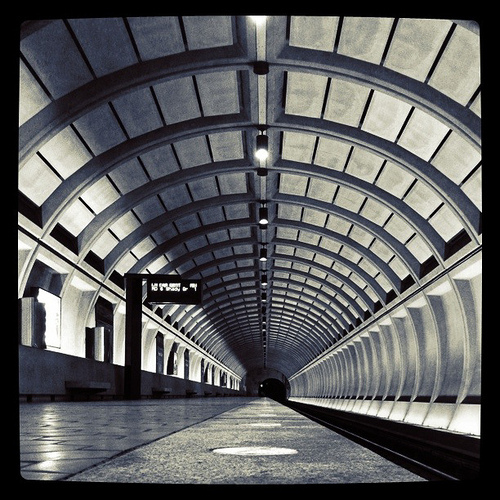 Customers should report any suspicious behavior, unusual activity, unattended items, smoke or odd odors to a uniformed Metro employee or call the Metro Transit Police at 202-962-2121. Customers can use the emergency call boxes on station platforms and on all Metrorail cars to call Metro personnel for assistance, if needed. Dear PoP – radiator repair?